With almost every month or bi-weekly a new brand of Smartphone is entering into the Indian market with launch of cheap Android Smartphones, especially in the last couple of years. This has definitely brought some cheers to the Customers. Especially the entry of Chinese Smartphone brands has given a harsh impact to the indigenous brands, which failed to gauge the impact of the foreign entry beforehand. With all these facts global brands like Samsung and Apple has managed to hold their grip over the market, it’s a different story for others. 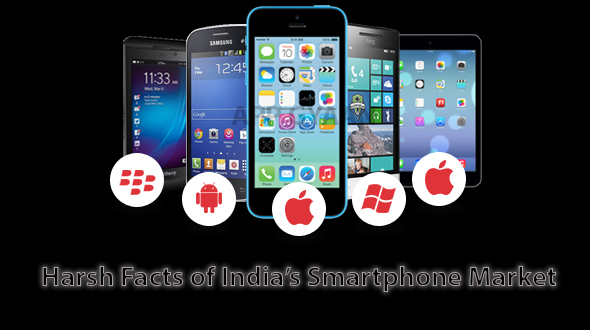 The segment of Budget Smartphone Market has got the maximum competition in Indian Market. There are more than 100 Smartphone Brands in India selling handsets under 10K INR. According to the reports, the number of companies is around 130. Most of them are unheard of, but they offer almost identical Android Smartphone to the customer. To make the buzz in the market, new brands depend on the prices to get the mindshare of the consumer, in order to do this they work for zero margin or negative margin. For example when LeEco first launched its Le 1s budget Smartphone they had two 'successful' stories to share. First, the brand had announced that it had sold over 2 lakh Le 1S units. Second, the Le 1S costs Rs 16,042 to make (bill of materials) while it is sold for Rs 10,999. Mathematically, that's a huge loss for the company just to grab consumer attention. While LeEco might have deep pockets, analysts reveal that most budget Android Smartphone (under Rs 10,000) offer an average margin of maximum 7% of the cost. The minimum margin could be around 2% or even nothing, depending on marketing expenses. So, where are the profits? India's top Smartphone brand recently announced a brand overhaul. The company said it aims to become a service brand (so where are the Smartphone’s). Anticipating the fall in growth from Smartphone’s alone, Micromax has diversified itself into the electronics brand selling laptops, TVs and tablets. For Smartphone’s, content partnerships are the only way ahead. Most brands have already realized that selling Smartphone’s in this highly competitive market alone cannot deliver the desired growth in revenues. Software, via partnerships, will drive growth. The hardware edge is dead. For the first time in recent years, IDC has reported negligible growth in the Smartphone market globally. The flat growth is attributed to hardware saturation in developed markets. The new market dynamics have put customer loyalty behind as brands like Lenovo, Xiaomi are now replace by Oppo and Vivo in the top 5 vendor list. Freedom 251 or Docoss X1 have put a question mark on the quality of cheap Smartphone’s. With impossible prices, these brands further dilute the market leaving a bad taste for first time Smartphone buyers. These are some of the harsh reality of the Indian Smartphone market. Hope you have enjoyed the article, do share your views in comment section below.